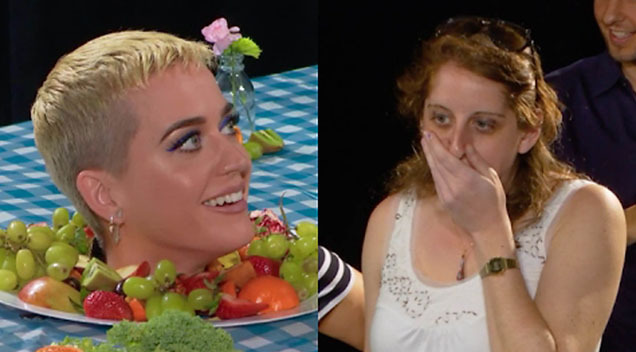 Can you imagine seeing Katy Perry in person… served on a platter?? Katy Perry and Derek Blasberg decided to take a trip to the Whitney Museum in New York City on the latest episode of “Derek Does Stuff with a Friend” to play a prank on some fans. Katy disguised herself as an artwork while Derek guided museum patrons to the very ‘special’ exhibit. The people’s reactions were pure gold.